It’s the last Thursday in August, which means it’s the TVFR Woodland Park Race series finale. 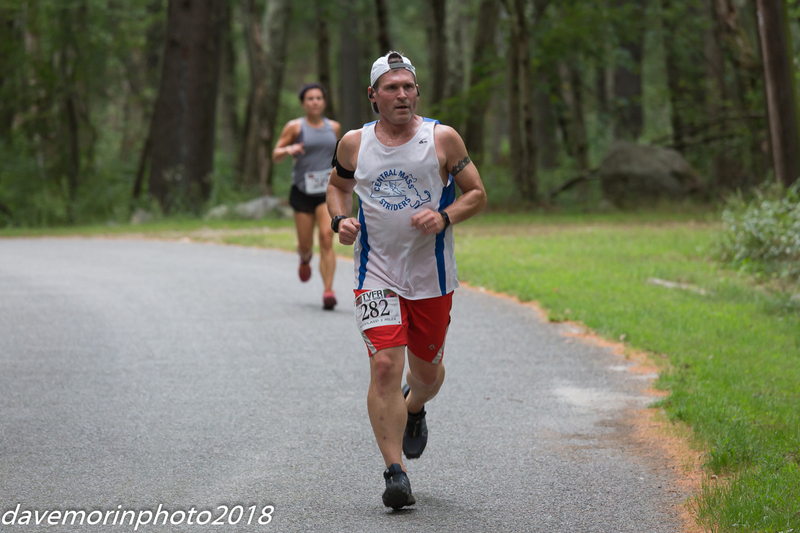 I ran the race in June, and missed it in July due to having some out of town houseguests. 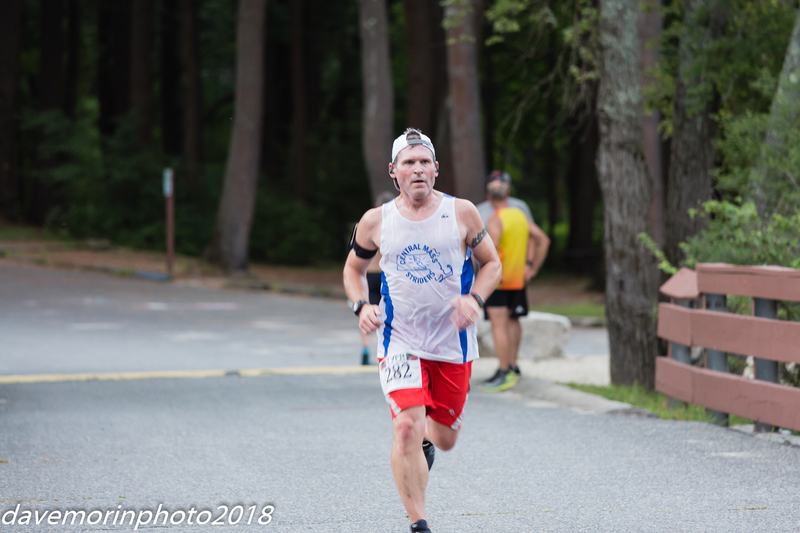 Now the race in June was the precursor to my abominable Independence Rhode Race finish — 2:06:00 Half Marathon, my worst time ever — with what turned out to be a chest cold. I was a big, sloppy, wheezing, ugly, hot-mess and I was not happy. 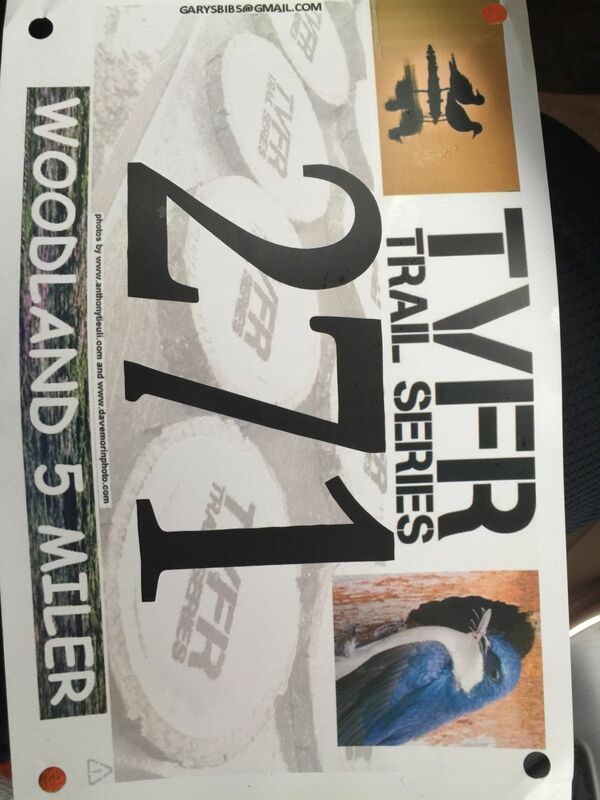 The TVFR bibs are always on point. Just enough oversized, and there’s no mistaking what race you’re running. Today, I was a grumpy, tired, itchy hot mess. I’ve been having some kind of allergic reaction to something and the anti-itch drug I’ve been prescribed is doing some funky things, but it’s working so no complaints. After a night of sub-optimal sleep, and what seemed like the longest day ever, I toed up the starting line and really couldn’t have wanted to do this race less. I didn’t run yesterday – we all need days off on occasion – and I definitely think that helped my race this evening. I started off in the middle of the pack because I didn’t really expect much, but actually found the running was pretty good and I was able to shuffle past a few people. 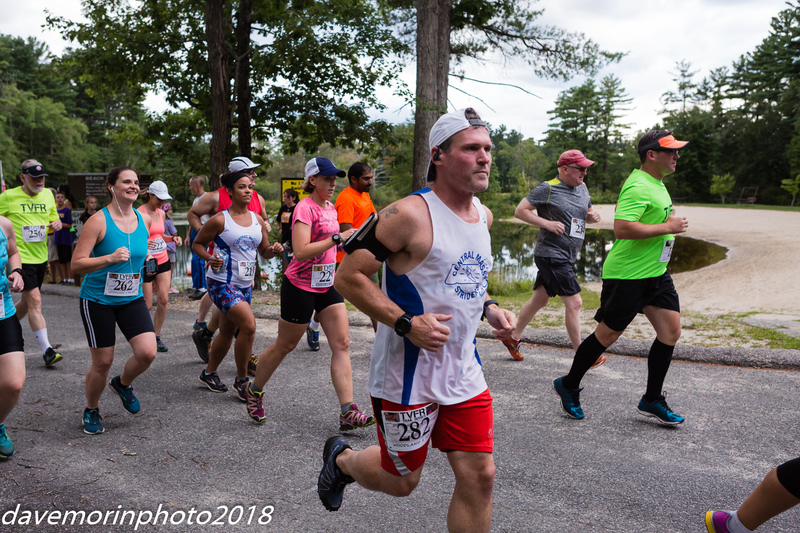 On the trail, I found my running pretty consistent and I ate up the majority of the elevation gains – it’s not a difficult course, but there can be some challenging parts. I didn’t let myself slow too much or take breaks, and it really paid off in the results. It was a really pleasant evening which really contributed a lot to my ability to do that. I also took a bootcamp class this morning which definitely contributed. When I commit to going to bootcamp consistently, I know I’m a better runner for it – evidence was in my race tonight. So, tonight, despite my crummy headspace, I really had a good race. I’m feeling a little tired, a little drained, the way you feel when you leave it all out there. 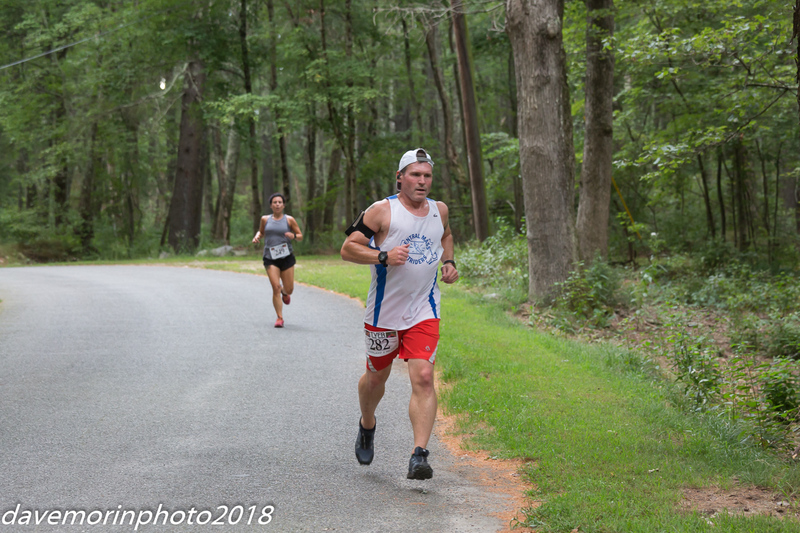 According to my Garmin, the “training effect” for this race was 4.3 (Highly improves your aerobic fitness if repeated 1–2 times per week with adequate recovery time), keeping my heart rate pretty consistently high over the 5-miles. I knocked 4-minutes off my time from June – my goal was 45:00, which was always going to be a stretch, and I came close. It was a good race tonight. Phew. That’s a mouthful. 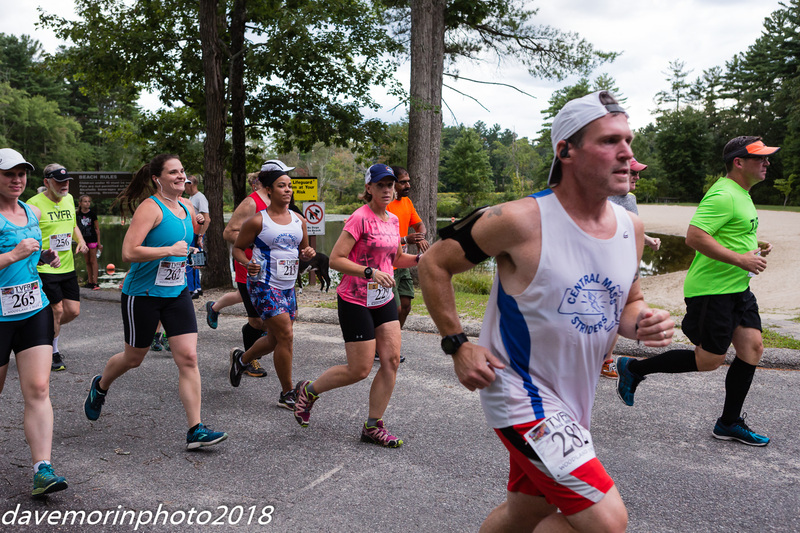 The Woodland Trail Series is a 3-part series of trail races through the West Hill Park in Northbridge, MA and Tri Valley Front Runners is a local (predominantly) trail running club. My club never seems to do well at these events because, well, we’re not trail runners as a group. BUT the registration fee for these races (3 for like $16) is just too good for any of us to pass up. It’s pretzel logic, but it’s logic. The race itself is not comparatively difficult: I came less than prepared for GPS and therefore had to use my FitBit, which is more or less accurate, which registered about 300′ of elevation gain. It was in the mid-70’s but HUMID. Holy smokes, was it humid. It stopped raining just before the start of the race, which it’s hard to say whether or not that was a good thing. It’s lightly technical; we started a single track for a bit, but otherwise it’s fire roads and hiking trails. If you’re conditioned, it should make for a pretty fast course. If you’re not…not so much. I did a run on Monday, that felt pretty good overall, but woke up Tuesday with some seriously sore muscles meaning I’ve been slacking a bit on my pacing and was feeling it. That and I’ve been hacking up a lung as well. So I know this was going to be a tough run. My friend Dukie told me I was busy looking for excuses, and perhaps I was, but I knew it was going to be a rough run. It was. I wish I could tell you it was a self fulfilling prophesy, but I don’t think so. I’ve done this particular race three times now: I ran it once each of the last two years. Last year I finished about 20 seconds slower than the year before, but I tell myself that was because it was one of my first races back after falling down the mountain. This year, I finished about 30-seconds faster. Roughly 2500-miles run over the last two years between running this course and I’m 30-seconds faster. Worst? My pace was faster those times because the course registered longer. I’m so angry with my performance. I can blame the humidity — I literally had to wring my shirt out — and I can blame respiratory issues, but at the end of the day, I just wasn’t ready. Maybe next month. Or maybe not. July and 9000-degrees? Ugh. Onward and upward.